The HSE said the jabs may not have been prepared or administered in the correct way and have arranged “revaccination clinics” for the affected children. SOME 221 CHILDREN and teenagers will need repeat vaccinations after the HSE determined that childhood jabs given by one general practitioner (GP) may not have been effective due to an error in the way they were administered. The issue came to the attention of the HSE following a query by a parent and on investigation it emerged that a number of the vaccines given at the GP’s office in the Dublin area may not have been prepared or administered in the correct way. Families will now have to have their children vaccination for a second time against diseases like diphtheria, hepatitis B, measles, mumps, whooping cough and several others. Manufacturers of the vaccines can only stand over their effectiveness if they have been administered in line with the terms of their licence with the Irish Medicines Board and European Medicines Agency. The HSE said there are no known safety issues with the vaccines received previously by the children identified. However as the vaccine may not have been effective these children may not be appropriately protected from these diseases. 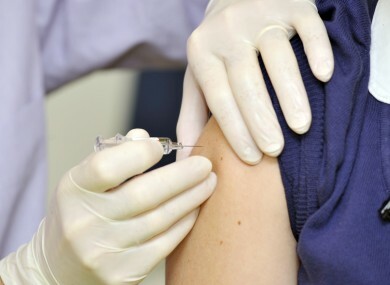 The HSE sought guidance from the National Immunisation Advisory Committee who advised that affected children should be offered an age appropriate revaccination schedule. “Revaccination clinics” have been organised and the HSE is currently contacting 221 families to inform them their children should receive their jabs a second time to make sure they are fully protected. A freephone information number has been made available and the HSE said only those who receive a letter are affected. Email “Over 200 children need repeat jabs after vaccination error”. Feedback on “Over 200 children need repeat jabs after vaccination error”.